I met my husband when I was 18, was engaged by 20, was married at 22, and love the life that we've created. "Just make sure this is something you really want," she said, referring to my engagement and future marriage. I smiled politely, hoping to catch my fiancé's eye and wrangle my way out of the conversation, but she continued. "Your 20s are such a special time. Make sure you really get to enjoy them." In my first semester of college, I had befriended my future husband at 18, started dating him at 19, and had gotten engaged at 20. Most of my friends and family were happy for us, but even amid the congratulations, people still came out of the woodwork to point out to me that I was super young—I had the rest of my life to get married, why rush? Was I aware of how young I was? As a self-aware, stubborn 20-year-old, I refused to consider that I could possibly be too young to get married. My fiancé and I were compatible on all levels, and he was smart, caring, and loyal to boot. He treated his mother with respect (something I had always been told to watch for in a future spouse), he made me laugh harder than anybody else, and he had a steady job. Whether I got married at 32 or 22, this was the person I wanted to spend my life with without a doubt. Why wait? Two years after our engagement, at the ripe age of 22, I got married to my now-husband. We've been married for nearly six years currently, and I still maintain it was one of the best decisions I ever made, however unorthodox. 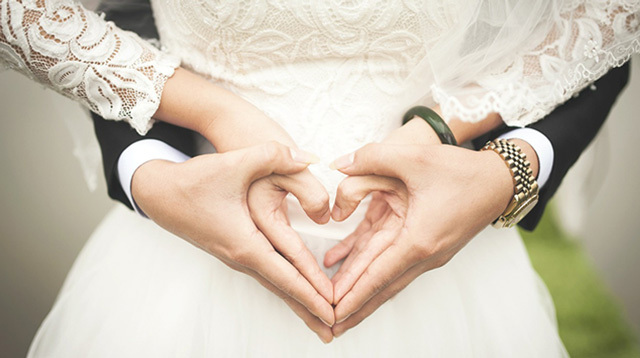 According to census data from 2011, people are delaying marriage in record numbers, and the median age for a first marriage was 27 for women and 29 for men—up from 22 and 25 a generation ago, respectively. Thirty years ago, getting married at 22 would have been totally normal. Now it was seen as risky and, frankly, pretty bizarre. But as much as I love my husband, and as much as I hate to admit it, my tipsy relative was right about part of what she said: 20 is young. Like, really young. And although I love my husband dearly and never regret marrying him, it's certainly not a decision that came without consequences: By our first anniversary—married and pregnant with our first child—we no longer had as much in common with our non-married, non-parent friends. At 23, we spent most of our time having Netflix marathons and preparing for the new baby. The decision to marry was the right one for us—but it created a gradual rift between us and our college-aged friends that I feel sad about to this day. I assumed that not much would change after we were married, that we'd have the same social circle, that we'd still have essentially the same lives as we did before. I was wrong. Now, as a mother of a 4-year-old girl, my heart stops when I hear her talking about getting married someday. If she gets engaged when I got engaged, that's only 16 short years from now. I doubt I would have the grace or composure to congratulate her and celebrate like my mother did me. Truthfully, I'd probably be more like my tipsy relative—pulling her aside after five or six wine coolers and asking, Are you sure? You're so young. You've got your whole life ahead of you. Why now?